Managing a blog is a tough task, especially if it’s a multi-author outlet. It involves a lot of editing, relationship building, and task management. You don’t need to be an expert in everything, but you do need to keep a lot of things in check – search engine optimization, content interlinking, article performance in search and social media, and overall content marketing impact on the brand awareness. The following tools will help you to do more, know more, and understand more to boost your blog performance without spending hours learning new things normally outside of the routine. To create a custom search engine, list your brand’s domains and name your search engine, and you are done. Add individual pages from third-party sites: Select “Include just the specific pages I have entered” option. It lets you paste in the page links of your brand’s guest posts, reviews, podcasts, interviews, etc. TIP: Add multiple managers to the search engine so third-party URLs can be added as they are identified by your community manager, reputation manager, or customer care manager, for example. Stay away from non-original content. Publishing (even partly) plagiarized content can ruin your rankings and reputation. 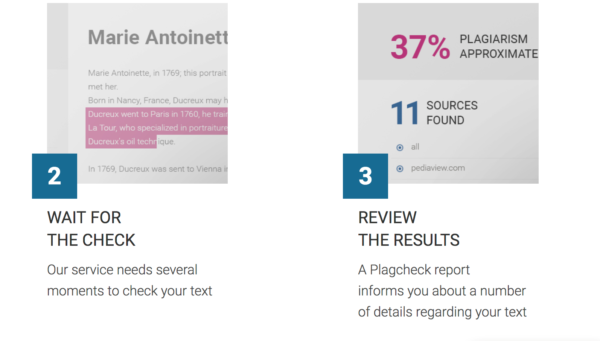 Always check whether content is original before hitting “publish.” PlagiarismCheck is the easiest tool to use. Simply paste the content and it will see if that content already exists on the web. 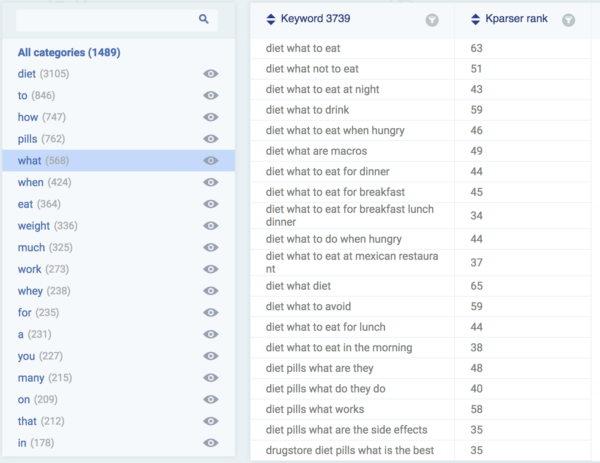 A relatively new tool, Kparser is a free keyword research tool that can come in handy. It takes some time to run, but you’ll be amazed by the variety of keywords it returns. It’s easy to use and doesn’t require registration. 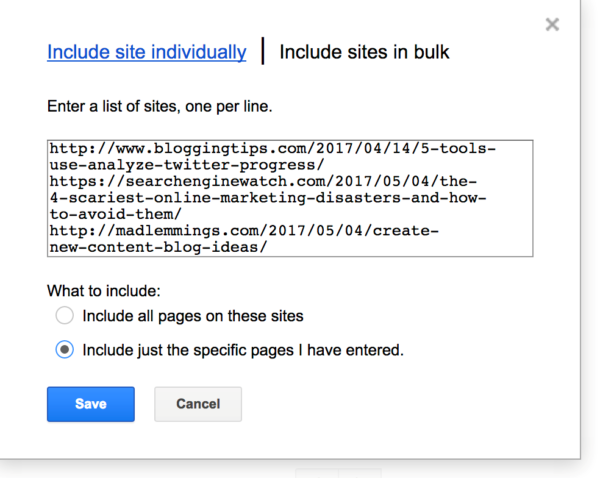 Encourage your blog team to use it on a daily basis to discover new keyword phrases for optimizing content. Run a search and use filters in the left box to dig deeper and discover some longer phrases or keyword-based questions. It’s also a good idea to install Yoast SEO plugin or an alternative to encourage writers as well as editors to pay attention to how well each article is optimized. 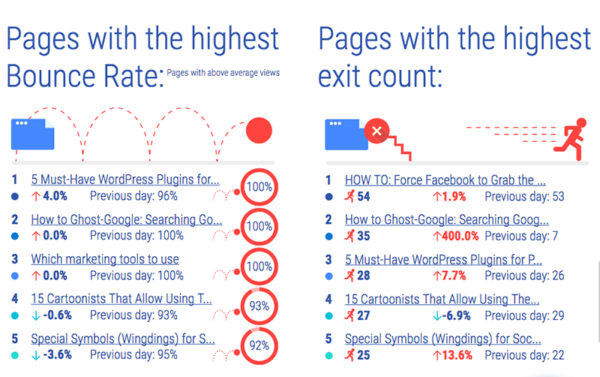 These plug-ins really keep content SEO in check and make the blog manager’s life much easier. Blog content usually goes into the archives and is eventually buried for good. Unless you and your team keep promoting it on social media, it will soon be neglected. DrumUp library is a good way to push your content into social media feeds without being repetitive. It automates just enough to make the process efficient and leave customization to you to ensure that every social media update is phrased differently, has an original attention-grabbing image, and tags important accounts to get additional exposure. Use @drumupio to keep promoting #blog content on #socialmedia without being repetitive, says @SEOSmarty. Add your blog content to a separate category inside DrumUp. Compose a set of social media updates using a variety of wording, emojis, and images (upload your own or use DrumpUp’s collection of animated GIFs). Click once to schedule each update to go live a few times into the future. If you want to re-use the old content, you only need to return to the DrumUp library. Similarly to DrumUp’s library, you can use Viral Content Bee (full disclosure, this is my tool) to organize your blog posts and keep shares to older content coming. A crowdsourcing model, Viral Content Bee allows you to bring your content in front of social media users who will share it on Twitter, Facebook, Pinterest, and StumbleUpon. In turn, you share other people’s content. 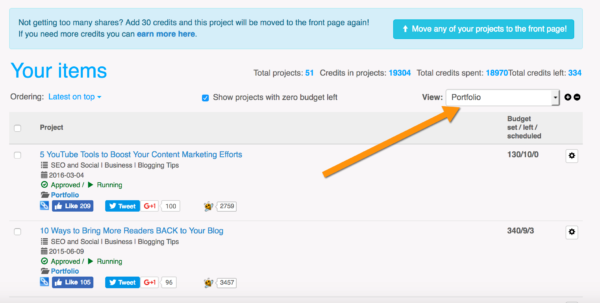 If you want to push your content even more, you can purchase credits and use them for each worthy content piece. If you’re like most people, you probably forget to check recent blog stats given all that’s going on in terms of your daily tasks. The following tools will help you keep updated on the recent numbers and mentions, to assign a required task, or take a required action to engage with the blog promoters and build connections. If you want to further push your high-performing articles, it is important to know where each of your articles is ranking. It’s also rewarding and motivating to see articles you worked so hard on pop up on top of search results. Being both an SEO and content editor, I know how important it is to let the content creation team see how their content is performing in search and social media. It lets them brainstorm and write content that performs better and better. 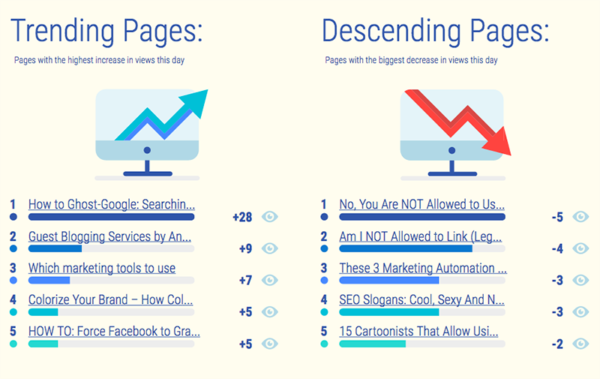 Serpstat has a built-in rank monitoring solution, and I use it because, for time and budget concerns, I like having my blog SEO under one roof, so the feature-rich tool set definitely helps. You can keep your blog as a separate project and use an email-alert option to notify you of ranking changes. Do people link to your blog articles? How often? Which are the most-linked articles? Are any articles going viral and acquiring new links right now? Knowing the answers to all those questions can help you take required actions and expand a positive trend. 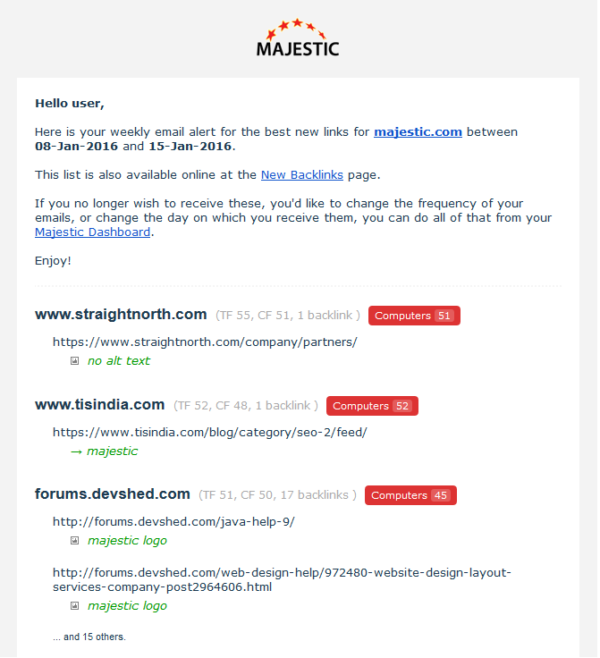 Majestic will send you email notifications every time someone links to your article. The expertise and authority of your authors are key to your blog quality and positive brand image. When your blog contributors are cited elsewhere, it’s a reliable indicator of how trusted the content they provide is. The expertise & authority of your authors are key to your #blog quality, says @SEOSmarty. BuzzSumo alerts help you monitor your writers’ name mentions across the web. You have an option to create email digests or receive alerts as they happen. Make sure to share these emails to your writing team so they feel appreciated and encourage them to put more effort into getting cited. 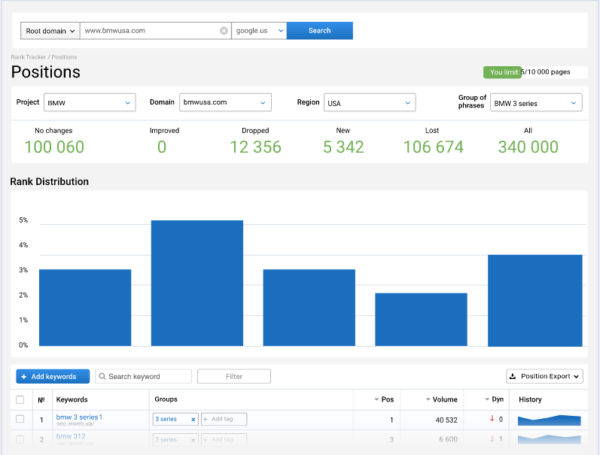 Whatagraph provides an in-depth, yet easy-to-understand visualization of Google Analytics data. You’ll need to authenticate your Google Analytics account and choose which types of email alerts you are interested in. Once set up, you will automatically receive email alerts with visual reports showing you the most recent stats from your site. Unlike Google Analytics reports (it can be time-consuming to figure out how to set up and interpret them), this tool is an ideal solution for a content editor who doesn’t have to dig too deep but needs some data to better understand the audience, create reader personas, learn from mistakes, and emphasize success. Among more useful content reports is the one citing which articles are recently gaining more traffic and which ones are losing it. Are there any blog-related tools that you find useful? Please share in the comments. Want daily (or weekly) alerts to help make your content marketing program more productive and effective? Subscribe to the free CMI newsletter. 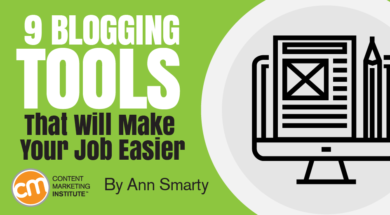 The post 9 Blogging Tools That Will Make Your Job Easier appeared first on Content Marketing Institute. Nel mese di aprile sono stati 30,4 milioni gli italiani che si sono collegati a internet, dedicando alla navigazione in totale 2 giorni e 8 ore (56 ore e 24 minuti). Nel giorno medio sono stati 23,7 milioni gli italiani (2+ anni) che hanno navigato dai device rilevati (PC e mobile – smartphone e tablet), con 13,5 milioni di 18-74enni che hanno navigato esclusivamente da mobile. Il 91,5% del tempo trascorso online dai 18-24enni è basato sul consumo da mobile. La pubblicità su Internet in Italia continua a crescere. Il nuovo rapporto dell’ Osservatorio Internet Media del Politecnico di Milano parla chiaro. Stiamo parlando di 2,6 miliardi di €. Clicca sulle immagini per ingrandirle. Il peso di internet, tra tutti i mezzi, continua a crescere, ma resta ben lontano dalla televisione.